This sure is a fun batch of songs! The first several songs are pretty straight forward in how they relate to the over all comic’s story. Right? Well, I think so! The last two… maybe not so much. “Walking Away” is referring Prof. X being able to walk, if even a short time (Don’t worry Charles, this will be happening so often it’s like you’re barely even in a wheelchair.) And “No Moaning at the Bar” was inspired by Beast and Angel fixing up Harry’s Hideaway at the end of the story line. Got it? Ok! Now listen and read comics! For the triumphant return to more modern ska, I went to my listeners and asked what they wanted. Got a few good suggestions, all which are in this podcast. Then, due to my online begging, King Duncan of the Shifters sends me on of their brand new songs. Basically, if you aren’t a close personal friend of the band, this is the first chance to hear it! Man it is a ripper! Also there’s a song from Rude King, that Jon Bravo made sure to get to me right away for you all to hear, that was just released last Saturday! 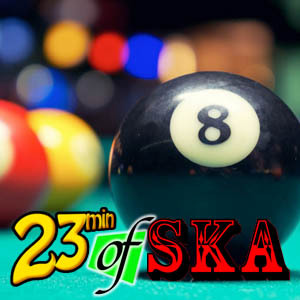 Seriously, so much great new ska for you on this episode it is insane!